Social Media Marketing World 2018 conference just took place at the beginning of March, where all the leaders and gurus of the social media industry speak and share their knowledge about where social media marketing is heading. 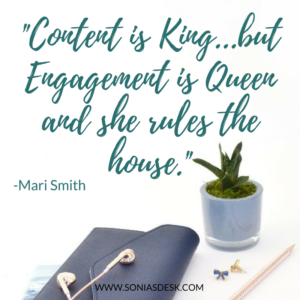 Mari Smith is the Facebook Queen and she spoke loud and clear about what marketers need to know about Facebook in 2018 and beyond. Yes, we’re all freaking out over “Facebook Zero”, meaning, we’re nearing zero organic reach. That’s why we’re all experiencing drastic drops in reach, engagement and growth. But, Mari believes there is great opportunity now and going forward for marketers on Facebook. We know there are 70M to 100M businesses that have a Facebook Business Page. Only 6M are advertising. Why the drastic difference? The others have tried and failed. Even major corporations are not properly doing their custom audiences, don’t have a Facebook Pixel installed, or are using the boost all the time. It’s confusing! There are so many options. Have Strategic Intent: every time you’re going to make a post, think about how it’s going to further your brand. Is it going to make people be drawn to you? And, how can you capitalize on that? We need to provide valuable information about our industry, techniques and hacks our audience would find useful. The good news with the Facebook changes is that they are still doing a lot of videos! We need to be doing more video. That’s where the magic is. And even better, 85% of your videos you don’t have to be on camera. Facebook Live gets 6 times the engagement of regular video. In this blog post, I talk about how to get started on Facebook Live and I provide some content ideas. People gaze five times longer at video than static content on Facebook & Instagram. People go to Instagram to be inspired and discover things they care about, and that includes content from brands and businesses. 25 Million business profiles on Instagram worldwide. 80% increase in time spent watching video on Instagram. In app purchases are very popular and they allow for a quick purchase, and back to Instagram for continued scrolling. THIS is What Facebook is Focused on…. Facebook is going after Netflix, YouTube, Amazon and Hulu. M! Conversational Commerce- Messenger. 1/3 billion people on messenger. Groups, groups, groups = meaningful social interaction. This is where deeper conversations are taking place. Facebook is coming up with many tools for groups. WhatsApp? The largest messaging app outside of the U.S.
Watch. To watch videos and original shows like Ted Talks. Facebook TV. There are new categories being added regularly. The 3 big SVOD (Subscription Video on Demand) services increased investment in content from $5.5 billion to $13 billion in four years. Netflix to spend up to $8 billion in 2018 with the aim of making half its catalog original series. Why Is All This Important? Facebook right now is where YouTube was 8 to 10 years ago. They’re trying to find their way to be a video watching platform. Find a way for people to find you on Facebook to watch your original content. Video Ad breaks are now a thing. These are new (cheap!) television ads. You want to be thinking about creating your own 5-15 second video ads, and equally looking at ways to monetize through product placement, ambassadors, affiliates, your own products. Facebook for Creators is an iOS app (Android coming soon) to help you create better videos, put insights at your fingertips and connect with fans. I personally downloaded this app and didn’t immediately see a difference in what it does vs. regular Facebook app. The layout is a little different, but I didn’t personally see an advantage to getting the app. I deleted within 20 minutes of downloading it. How can your content stand out? Think like a screenwriter and not a “buy my stuff” copywriter. Like Star Wars that keeps you coming back for the next episode. Create a show and show it at the same time every week, called appointment television. Their main focus says that all ads must DRIVE BUSINESS. Metrics vs. Results: You see an ad and you go buy it. They want that kind of reaction: views, reach, engagement vs. a lead and a sale. They want to make sure that your ads are converting. Facebook offers by far the best targeting parameters out there. Yes, it’s very successful right now. People find messenger ads and communication annoying and invasive. So, it may not work for long. It’s all about how you make people feel. Act and think and feel and behave like a member first, and a marketer second. If you’re doing business outside of the US, keep an eye on WhatsApp? Mari believes we’re going to have the conversation about WhatsApp again in a couple of years because it’s going to grow. Focus on your community managers. Empower and train your community managers, your moderators to be relationship builders. Teach your team best practices for community engagement. We as people still want to believe we are important. The more we can make people feel that way, the more successful we will be. 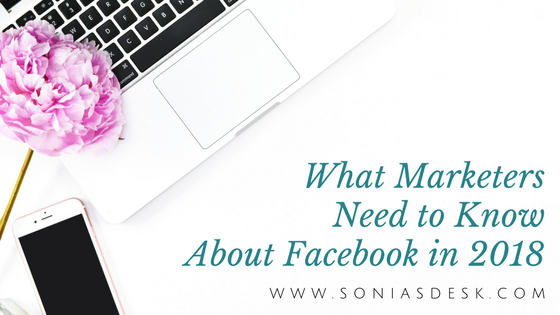 What is your Facebook strategy for 2018 and beyond? How much video are you incorporating? 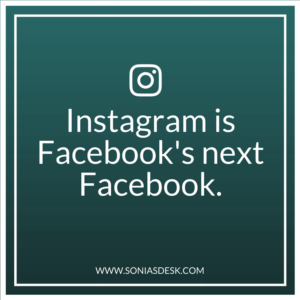 What difference do you see on Instagram vs. Facebook in terms of business?